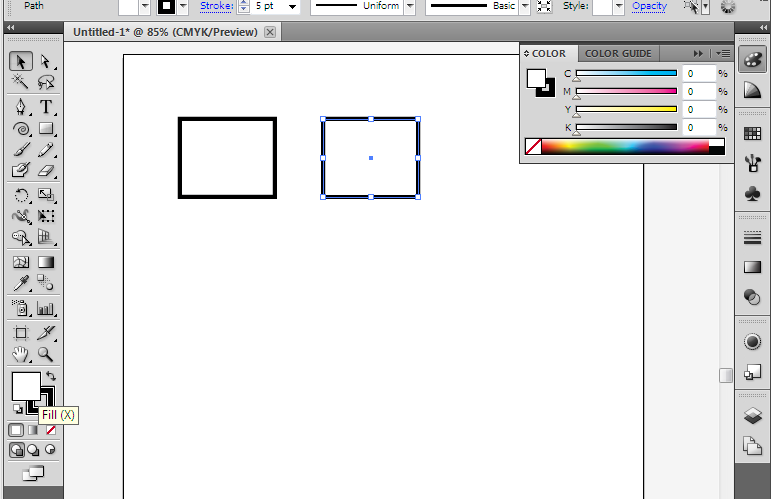 Just as Photoshop has much in common with the GIMP, Illustrator has much in common with Inkscape. There are a few things that work better in one or the other, but all the important features are very similar. 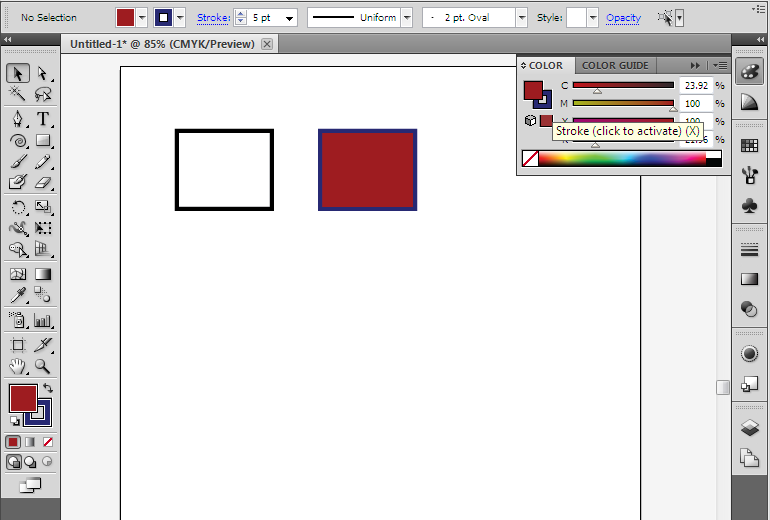 Unlike Photoshop, you do not right-click on the items in the toolbox (the ones with a small triangle in the lower right corner) to pop up the other tools. Instead, you left click and hold down. After enough time passes, the other tool options will come up. 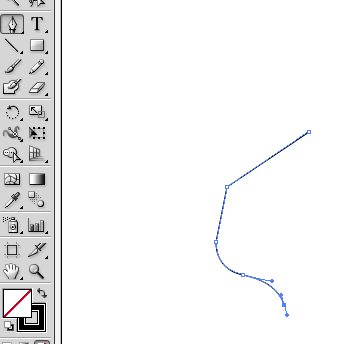 The Pen tool works exactly the same as Inkscape's Bezier tool. When you click at a new point it makes a strait line, if you then drag it will manipulate the handles to curve it. The pencil tool is also similar to the freehand lines too, in that you just click and hold the mouse, and the line follows it wherever it goes. 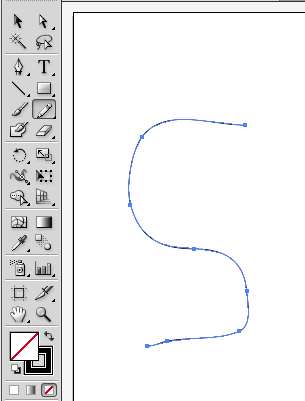 However, the one in Illustrator is somewhat different because it will automatically make the line into a bezier curve by adding all the necessary nodes and putting their handles at the correct settings. 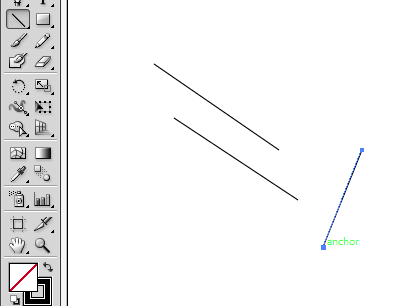 What the pencil tool doesn't do however, is make strait lines. 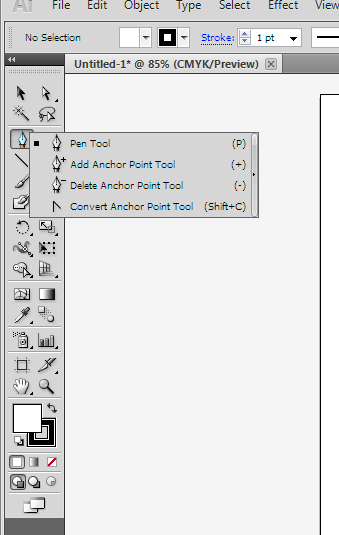 In Inkscape you can use it by clicking in one point (and letting go of the mouse button), then going to a different point on the screen and click again. 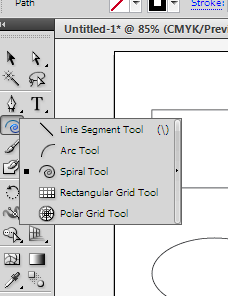 Inkscape with create one solid, strait line between them. 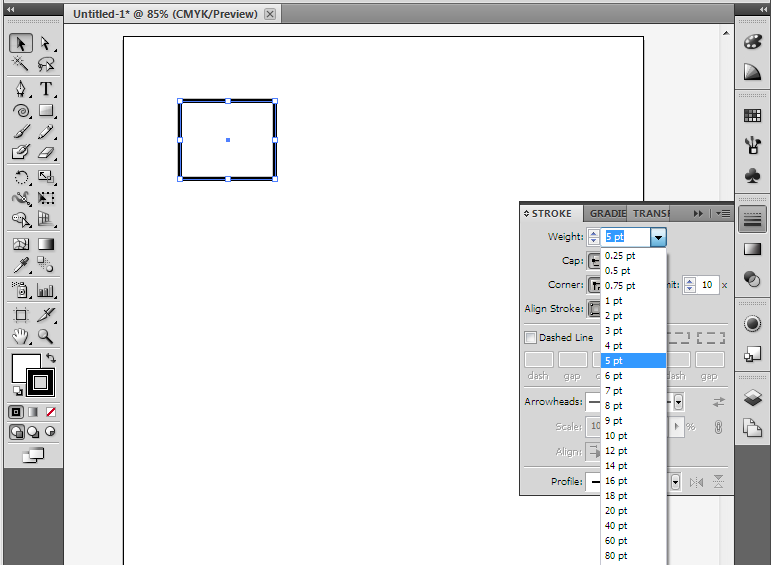 To do this in Illustrator you need to use the line segment tool. With the line segment tool, you click your start location and hold the mouse button down while you move to the finish location. 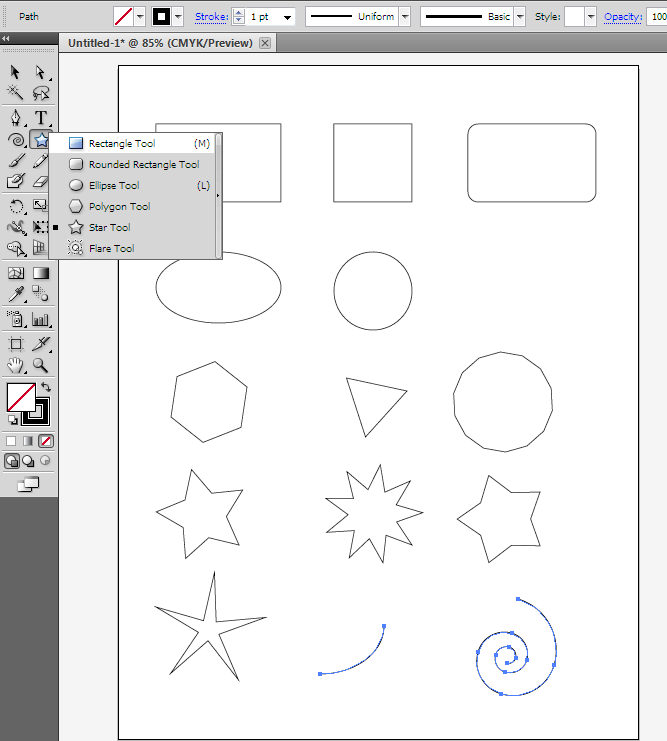 Illustrator has the same standard shapes (Rectangle, Ellipse, Polygon, Star, Spiral) as Inkscape. The only real differences is that to get a square with rounded edges you use a separate tool, also for the arc you use a separate arc tool instead of just making a segment of an ellipse. The concepts behind stroke and fill in Illustrator are the same as in Inkscape, however, here the tools are somewhat different. Here we have the stroke dialog open, and are changing its thickness. To quickly change the fill (or the color of the stroke) you can click on the color chooser in the toolbox and it will open the colors dialog. You can switch back and fourth from fill to stroke by clicking the two overlapping boxes. Then pick the color for each. 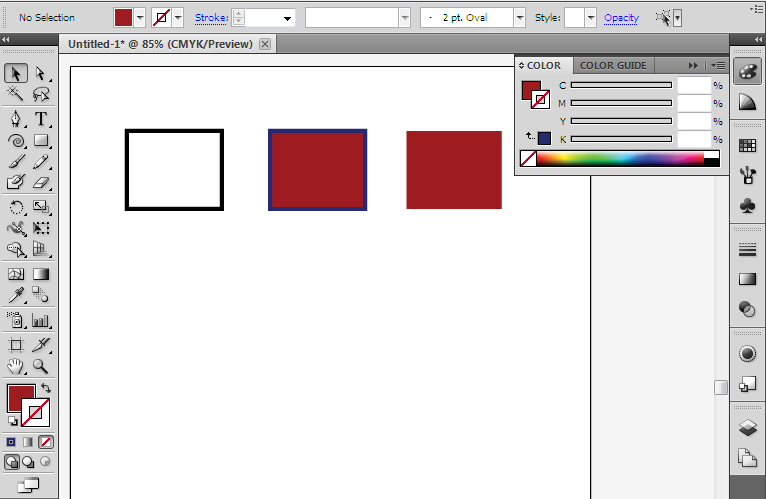 If you don't want to have a fill or stroke, select the white space with the red, diagonal line through it. This indicates none.